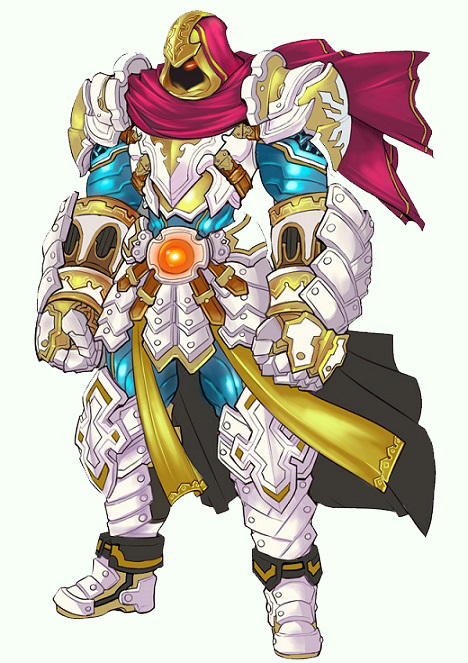 Well, whether you’re completely confused, or just fancy refreshing your memory, it’s time to learn how this fantastic system helps you to get the most out of Aura Kingdom! The Tiered Spender is the ultimate loyalty reward system. To put it simply; we reward you for the purchases you make. This means that the more you spend on Aura Kingdom the more we want to thank you, and we do that by giving you awesome items! To begin Tiered Spender you must have some AP. You can purchase AP now here! Once you have some AP you can begin spending your AP in any of the Item Mall outlets, such as The Loot Wheel, The Loot Forge, the Web Mall. Also, don’t forget the Item Mall which can both be found in game. There’s an extraordinary amount of consumables, costumes and items that’d make even the seasoned veteran drool, so what are you waiting for? As you continue to purchase the magical items that you’ve come to expect from Aura Kingdom, the Tiered Spender bar will fill (2). As you can see the bar is currently blue. It will stay blue until you reach the end of that Tier and unlock it. It’s finally come, the moment you’ve been waiting for; you’ve unlocked your first TIER! You can be sure of this because the bar has turned from blue to green. This confirms you’ve spent the required AP to unlock that particular Tier (3). You can read below the description of the incredible items you’ve been rewarded with (4) and then it’s time to redeem those items! 5) But it’s not over yet! Remember: Each Tier has bigger and better prizes than the last, meaning the further you get, the more exciting and advanced items will be YOURS! So what are you waiting for, Envoy of Gaia? 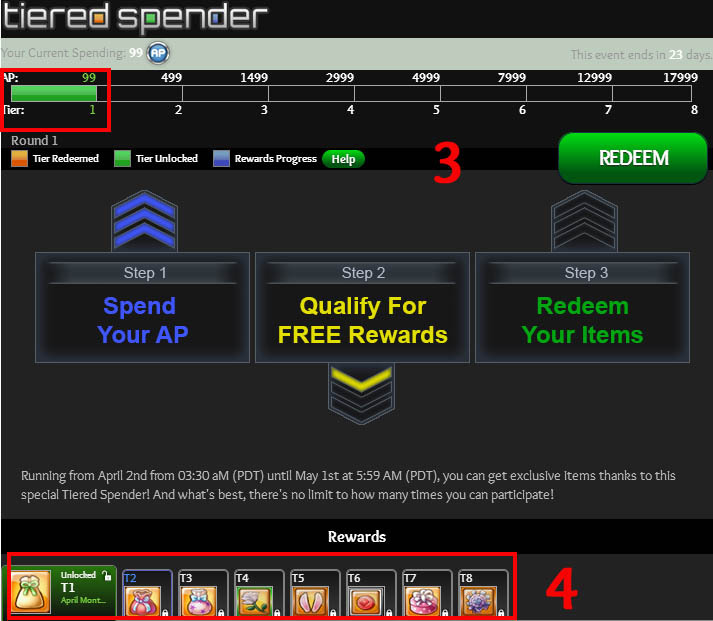 Become a Tier Spender and reap the rewards of being a part of Aura Kingdom with The Tiered Spender.